SHAFAQNA-Hazrat Imam Hussain (A.S.) was born on the 3rd of Shaban 4th Hijrah in Medinah Munawarra. His father was Ali (A.S.) and mother was Fatimah (S.A.). When the Prophet (S.A.W.) heard the news of Imam Hussain’s birth he (S.A.W.) became very happy and came to the house of Fatimah (S.A.). Asma, the maidservant of Hazrat Zahra covered the child in a white cloth and brought him to the Prophet (S.A.W.). 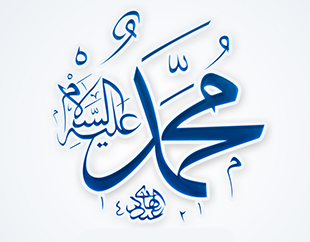 The Prophet (S.A.W. ), picked the child up in his lap and recited the Azaan in his right ear and Aqamat in the left one. As if, apparently, he (S.A.W.) made the ears of his son familiar and acquainted with the name of God for the first time. On the seventh day of the birth, an angel came from the God and he said, “Just as Haroon was the brother, sympathizer, and helper in each and every difficulty of Moosa (A.S.) similarly Ali (A.S.) is your sympathizer helper and brother in each and every matter of yours. Therefore, keep the name of this child upon the name of Haroon’s son “Shabeer,” which translated into Arabic becomes ‘Hussain’. Thus the name of the second child of Fatimah (S.A.) was also selected by God. On the 7th day of the birth Hazrat Fatimah (S.A.) got a sheep slaughtered as the Aqeeqa and distributed it’s meat among the needy and poor. The Prophet (S.A.W.) 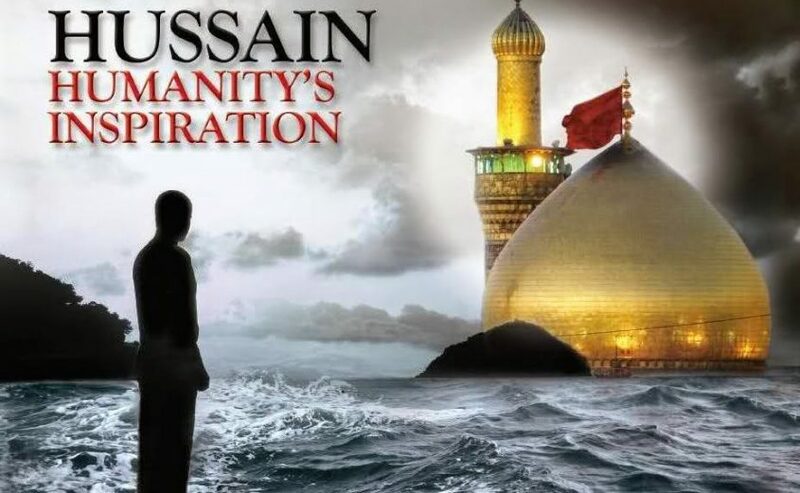 quite often hugged Hussain (A.S.) taking him into his lap and used to weep bitterly, saying, “A very big tragedy will be met by my son Hussain”. The brutals and bloody men of Bani Omyaide will slay my dear son. I will not interces and mediate for them on the dooms day. The Prophet (S.A.W.) loved Imam Hussain (A.S.) very much. His companion Salman Farsi describes, “I saw that the Prophet (S.A.W.) had picked up Imam Hussain (A.S.) upon his knee and was kissing him saying, “Oh son, you are the Imam son of Imams and father of nine Imams, who would be from your generation and the last one of them is Mehdi. “One can estimate and guess the amount of love the Prophet had with Imam Hussain (A.S.) from this sentence of his “Hussain is from me and I am from Hussain.” The one who is the friend of Hassan and Hussain is my friend and the one who is their enemy, is my enemy. During the reign of his father, Imam Hussain (A.S.) playing upon his life used to be busy defending Islam and fighting against the tyrants and brutal. He fought against the enemies by the side of his father like his brother Imam Hassan Mujtaba (A.S.) in the battles of Jamal, safeen, and Neherwan. He, after the martyrdom of his father, legally took the oath of allegiance for his brother and accepted him his leader and Imam. And whenever someone asked him a question he used to send him towards Imam Hassan (A.S.). And wherever he deemed suitable he himself would give the answer. Briefly speaking, he considered the defense of his brother something necessary for himself. Although Imam Hussain (A.S.) did not leave any stone unturned in disgracing and belittling Muawiyah even then he did not fight or clashed with him. Nonetheless, after the death of Muawiyah his incapable son Yazeed being a proud and thickheaded person posed himself as the leader of the Muslims. And started making the Islamic personalities takes the oath of allegiance for the sake of establishing and strengthening his government. He wrote to the governors of the cities and as such wrote a letter to Waleed who was governor of Medinah that “Immediately take the oath of allegiance from Hussain (A.S.) And if he refuses to do that then cut down his head and send it to me”. Muawiyah had several times insistedly warned him that you might dash against anybody except Hussain (A.S.), in which case you would get destroyed. The ruler of Medinah summoned Imam Hussain (A.S.) and informed him about the letter of Yazeed. He said “I am ready for the martyrdom because only Yazeed’s becoming the caliph of Muslims is the death and disintegration of Islam”. When Imam (A.S.) observed the worsened condition and atmosphere of Medinah he along with his companions migrated to Makka under the dark cover of the night. His mere act of migration from Medinah was a great objection upon the people’s taking oath of allegiance for Yazeed. Imam’s (A.S.) migration not only created a hue and cry in Medinah, but it also set up an atmosphere of discussion and objections against Yazeed in Makka. And the hue and cry raised to the climax when Imam (A.S.) addressing a gathering of the pilgrims raised his voice against the obnoxious, dirty, and impure government of Yazeed. This stand and pledge of Imam Hussain (A.S.) made the people of the whole area completely aware and understand that the caliphate of Yazeed is not correct and taking oath of allegiance for him is dishonesty to Islam and Muslims. When the news of the migration and objection of Imam Hussain (A.S.) upon the Yazeed’s regime reached Kufa. All of them (Kufis) got themselves prepared to invite him to Kufa and elect him for the caliphate and the leadership of Islam. They sent messengers along with letters, rolls and scrolls, and formally invited Imam Hussain (A.S.) to visit Kufa. But, because of the fact that Imam (A.S.) knew about the unfaithfulness of the Kufis and he himself had witnessed their untruthfulness towards his father and brother so he sent his cousin ‘Muslim bin Aqeel’ to Kufa so that he might observe the whole affair closely and invite Imam (A.S.) if he deemed fit and suitable. Muslim bin Aqeel moved towards Kufa as desired and ordered by Imam (A.S.) and when he reached there he met a warm, noisy, grand welcome. Thousands of people took oath of allegiance and offered prayers behind him. Muslim bin Aqeel wrote a letter to Imam (A.S.) asking him to immediately move. Imam stayed back at makka uptill the 8th of Zil Hijj and spoke to the people and instigated and provoked them against Yazeed. Then he moved towards Iraq. When Yazeed got informed about the movement of Muslim bin Aqeel and oath of allegiance being taken by the Kufis, he at once sent Ibn-e-Ziad, who was the most dirty of his companions, to Kufa with full fledge powers. 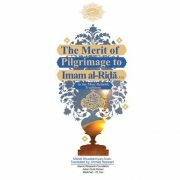 Ibn-e-Ziad, who completely knew about the spirit and the character of the people of Kufa, took advantage and made the most of the weakness and debility and feebleness of their faiths and double-faced ness hypocrisy and cowardice. And by terrifying and harassing scattered and dispersed them from around Muslim bin Aqeel. And turned the events to such an extent that even those who had written invitation letters to Imam (A.S.) put on the war dress and got ready to fight the representative of the Imam (A.S.). 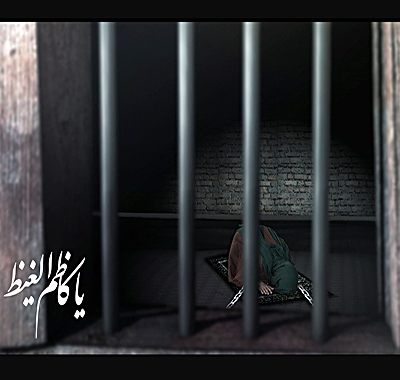 “Muslim bin Aqeel” was forced to fight the agents of Ibn-e-Ziad all alone. After showing surprising and astonishing bravery he was arrested and martyred. From the very night Imam Hussain (A.S.) had departed from Madinah he had been giving the news of martyrdom and said, “Whosoever is ready to lay his life on our way and make haste to meet God may join us.” He again spoke to his friends and companions about Jehad, holy war, and martyrdom at Makka. To the extent that even when the poet Farzdak met him on the way and gave him the news of “Muslim bin Aqeel’s” being martyred. He said, “Muslim bin Aqeel” has met the blessings of God and ended his mission and has laid the burden of the mission upon our shoulders. We hope to be able to carry this burden and weight up to its destination. Hussain (A.S.) described his aim about this mission was to disgrace Yazid’s regime and to uphold and put into practice (Amer bil Maroof and Nahi anil munkir), to order the correct and right and to stop and refrain from the evils and to stand up against the brutality and cruelty. This was the mission God had entrusted him. His grandfather the Prophet (S.A.W.) and his father Ali (A.S.) had several times described their son’s is being martyred. Imam Hussain (A.S.) himself, by virtue of the knowledge of Imamate, knew that this journey would end with his martyrdom. But Hussain (A.S.) was not the one to be afraid of martyrdom and death, and overlook the command of God. He was the Imam who considered calamity as magnanimity and nobility and martyrdom as bliss and blessedness. Ultimately, he moved toward “Karbala” and he himself and his companions were all martyred. His family members were taken prisoners. But they gave the message of those martyred to the people in the streets, and bazars of the cities and thus put the agents and paid servants of the Bani Omayaid to disgrace and shame. Hussain’s (A.S.) face glittered and shone like light He gave hope and courage to his companions. The same Imam (A.S.) whose grandfather the Prophet (S.A.W.) said, “Hussain (A.S.) is the lamp of guidance and the escape boat of the ummah”. Hussain (A.S.) spoke loudly, “Oh people of the world! You must know that I have not taken steps for the battle and did not draw my sword. An unclean, dirty character man from the criminal family of Omayde named “Yazeed” made me choose one of the two either I draw my sword and defend my honor and religion or surrender to shame and humility. But do know, beware! That surrendering with shame and humility is far away from our family. I am obliged to choose the first way. Then he stood by the soldiers of Yazeed forces and said, “It is not expedient and wise both for your world and religion (the justice day) to kill me and fight against me. So, if you have taken the decision to fight me. It is better to compose and form a committee and take views from everyone. Then see who says fight against the son of the Prophet (S.A.W.) who is the one gone astray and ill fated, miserable that accompanies and sides with you for killing me? The governor of Iraq, son of Marjana, is an unclean and power seeking person. He wants to make you helpless. I know you will repent after my being martyred and will rebuke each other. Therefore, before taking steps for the battle, think and ponder about the result of your action. Be aware, God is my supporter and I am not harassed and bewildered by any coming event. I have heard from my grandfather that “World is the paradise of the infidel and the prison for the faithful.” Death is the beginning of our joy but it is the start of your misery. There is only one bridge between this world and the other world and that is death. If you initiate and take steps towards battle, we would also stand up along with our friends and worthy sons for defense. If we are victorious it will not be anything new for us and if we are killed world knows that we are not defeated. “Oh helpless people! The informed and knowledge full people try and endeavor to provide themselves with a lamp, so that they do not loose their way, and I am the lamp of this ummah. But you want to put your lamp off. Do you know against whom do you fight? You are not fighting against me but you fight against God! Against your Prophet (S.A.W. ).” After the speech of Imam Hussain (A.S.) an enthusiasm, humming, and murmuring movements took place in the army of the enemy. The war provokers saw that if they would not start the battle, Hussain (A.S.) will shatter the army by his speech and will finish all their planning. Therefore, the order for the battle to be started was issued. Hussain (A.S.) called out, “Oh my worthy and great friends rise up, this is the time for the combat. His friends like Habib and Zuhair were happy that Imam issued the order. Each one of them requested the other to be allowed to go for battle first, hence take the lead. The family members of Imam (A.S.) such as the Qamer-e-Bani Hashim (Abbas [A.S.]), Ali Akbar, Qasim and all the rest got prepared for the battle. They attacked the flanks of the enemy like tigers. Whosoever came their way would be killed. Imam Hussain (A.S.) himself showed such a bravery, courage and manhood that as Ibn Sheher Ashob wrote; he slew two thousand men of the enemy. Whenever and whichever of the friends and relatives was martyred, Hussain (A.S.) would become stronger, and more resolved and determined. One of the soldiers of the enemy said about the astonishments and wonders of Ashoora, “on the day of Ashoora instead of becoming broken and sorrowful whenever Hussain (A.S.) lost a person by martyrdom his face would glow and shine more than before and he became more determined and stronger in the battle and combat. The thirsty and hungry, but selfless and dedicated, holy warriors showed such bravery and ferocious fight that son of Saad the Commander of the enemy shouted, “If you want to fight like this, all of you will be killed by the swords of Hussain (A.S.) and his companions”. Therefore, he ordered all the arrow men, who were nearly four thousand in number, to throw arrows simultaneously and harmoniously. The battle got flared up and reached a climax whosoever out of the Imam’s companions would fall down he would utter these words, “Oh God do accept our sacrifice.” The blessings of God be upon thou souls, oh movers and travelers of the way of God and Hussain (A.S.). Oh the venture some defender of the Quran’s path. Hussain (A.S.), wherever blood flew out of his body, he would raise his hands towards the sky and say, Oh God, who is the source and stock of my hope and aspiration, I depend upon you. My hopes are focused upon you. Oh God! Accept these sacrifices from us.” Finally, as per the tradition of Shiekh Mufid, Hussain (A.S.) and his great honorable companions were martyred on Saturday the 10th of Moharram, of 61 Hijrah, and laid to rest side by side, to each other. They gave the lesson of honor, dignity, manhood and bravery to the future generations. 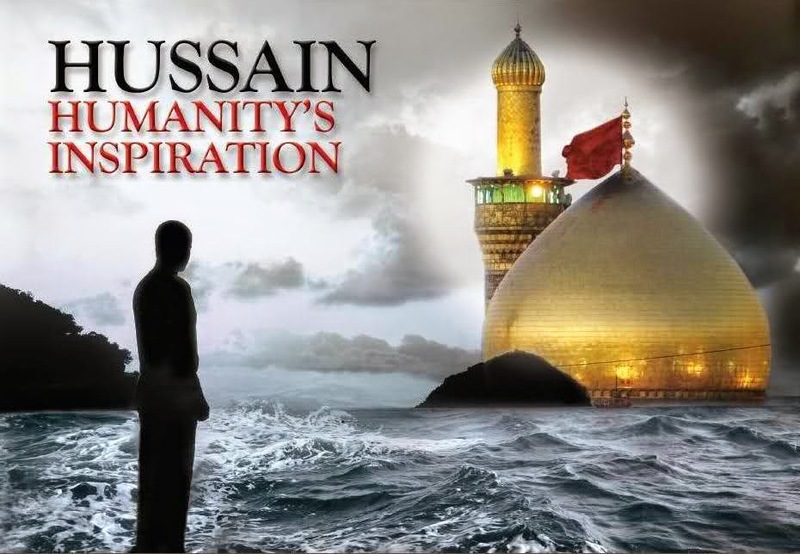 Why Imam Hussain (A.S.) is not forgotten? The respect and regard which people had and still have in their hearts for Hussain (A.S.) is due to this that he lived with the people and did not consider himself aloof and segregated from them. As such, one day, he was passing through a way, a group of poor, oppressed and afflicted people was sitting with a food cloth, spread with a certain quantity of dry bread upon it before them and they were eating it. They invited him to sit along with them and eat that food with them. Imam (A.S.) accepted their invitation and sat down besides the food cloth and took the bread with them.Saying, “God does not like the proud ones.” Imam Hussain (A.S.) has hundreds of such examples and specimens of character, which keeps his memory and martyrdom alive in the memories of the people. With every passing year, people strengthen and deepen their relations with Hussain (A.S.). Otherwise Hussain (A.S.) did neither possess magnificent palaces nor had soldiers or many types of servants. He never closed and blocked the ways and roads to stop the movement of people like the tyrants and imperialists, and Shrine of Holy Prophet (S.A.W.) was never vacated for him. One of his friends said about him “Hussain (A.S.) had the signs of scars of callosity and hard flesh on his back” When his son Imam Zain ul Abidin was questioned about it he said, “These are the callosities and signs of hardened flesh which is due to my father’s carrying sacks of food at night time, to the houses of widows and orphan children and poor families.” One of the scholars says about Hussain (A.S.), “In the history of humanity we come across men who were prominent and distinguished in one human quality, a few in bravery, a group in piety and another one in generosity, but Hussain (A.S.) was not distinguished and eminent in one quality and few qualities instead he was distinguished in all the qualities and ethics and possessed all the human perfections and accomplishments included in his personality. Yes, such is the person who is the heir of Mohammad’s (P.B.U.H.) Prophetic mission. 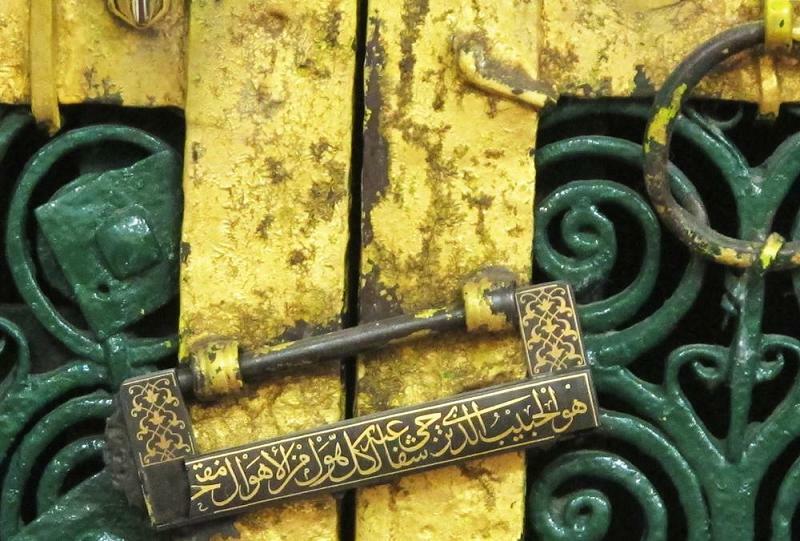 Who is the heir of Ali’s (A.S.) justice and bravery? 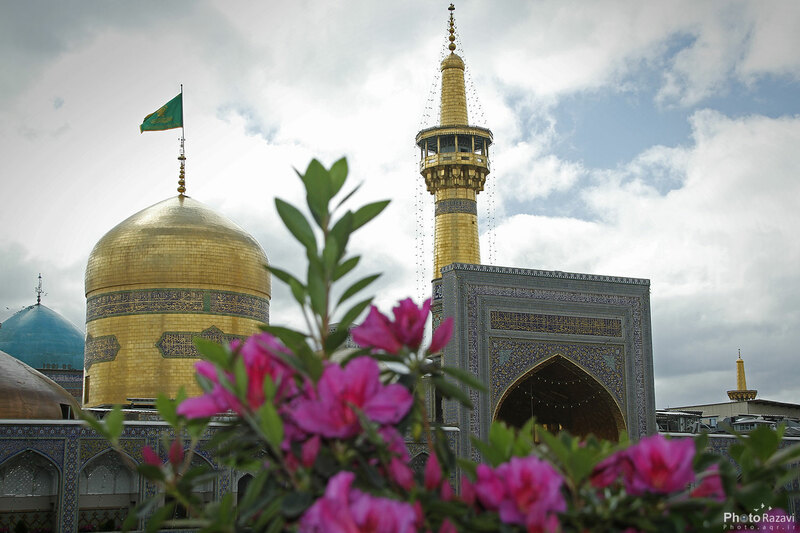 Who is the heir of his mother Fatima’s (S.A.) modesty and chastity? He was the reflection of all the merits, accomplishments. Self sacrifices, piety and God’s love. What day is the Ashura? Ashoora was a formal Arab Eid day in the days and era of ignorance. People used to keep fast and make merry, and hold ceremonies of joy in the same manner as Nauroze was considered to be the Eid day in Iran. In the Arab history, Ashoora day (10th of Moharram) was the historical and customary Eid, when the various tribes of Arab put on new clothes and decorate the cities. Still, a group of Arabs, who is known as the “Yazeedi” group celebrates this day as a joyous festival. 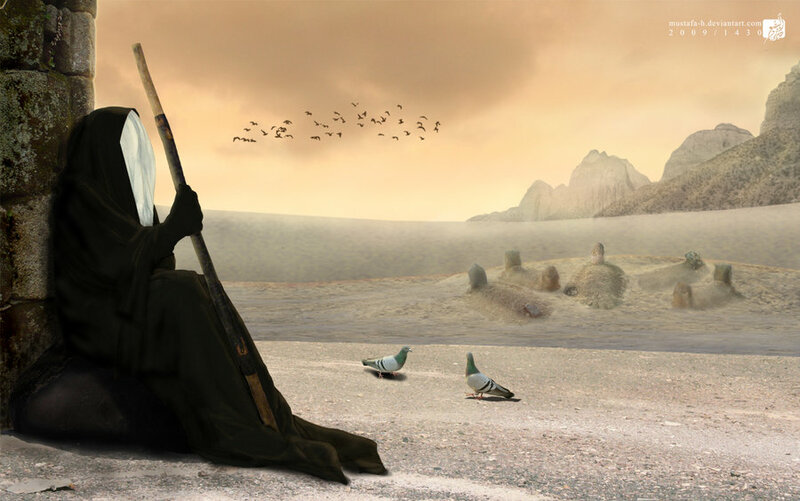 When the incident and anguish of Karbala took place in the year 61 Hijrah, the mode and line of tendencies, and views of Arab and the Muslims was changed. Moharram, which was taken to be as one of the (Haram) prohibited months. War and killing was prohibited in it because the martyrdom day of the best of the sons of Adam i.e. Hussain Ibn-e-Ali (A.S.) and for the Shias it became a day of sorrow and grief, the day of honoring and celebrating the memories of the martyrs. In the very first year of the martyrdom of Imam Hussain (A.S.) his friends nearly thousands in number gathered around his grave and recited alleges. From the ushering of the era of Bani Ommayide and Yazeed unto this day, hundreds of thousands of the friends of Ahl al-bayth (A.S.) celebrate the mourning meetings and caravans move towards Karbala. Those whose cities are away and at long distance from Karbala shape their cities as Karbala and hold mourning gatherings. The Fatimydes of the Egypt announced the Ashoora as the day of mourning of Imam Hussain (A.S.). As such, men and women gathered around the grave of Ome Kulsum (S.A.) and mourned and recited the alleges. All along the Fatimyde Era in Egypt Ashoora remained the official and formal day of mourning and grief. Moez ud duala Delmi ordered that Ashoora be celebrated officially in Iran and entire population and government officials must refrain from work and celebrate the mourning rituals. This is the very reason why the mourning rituals in Iran, Egypt, Iraq and India have brought about a spiritual movement and ideological change among the Muslim masses so that today’s movement of Muslims is the sequence of the same. With every passing year, it is becoming more fruit full. Hoping that a day will come when people will mend their perverse nesses and misbehaviors and make up their deficiencies and faults and enhance their strength and values. One of the scholars says about it “Mosques are the relics and vestiges of the Prophet (S.A.W.) but the monasteries of mourning and Hussainias (centers of mourning) are the relics of the Ahl al-bayth (A.S.). The Shias prattle and tell their secrets to God in the mosques and in the mourning centers they prattle to the lovers of God and those who were martyred for Him and on His way. All along the passage of history no power could stop the movement of the Caravan of Hussain (A.S.) and history has shown that during the entire length of thirteen centuries this enthusiastic movement could not be hushed up and cooled down. For the same reason, because the martyrdom of Hussain (A.S.) and his friends took place on such a day then Joyous ceremonies and decorative measures, joyous and happy celebrations, and lightings and keeping of fast became prohibited and haram on that day. Ibn-e-Kaseer writes, “Ashoora was announced as the public and national mourning day in Baghdad in the approximates of 400 Hijrah. People used to keep cold water and cold drinks on the highways and through fares for the thirsty ones to drink and to commemorate the thirst of Hussain (A.S.) and people of Iraq used to become mournful on the Ashoora day just like the death day of the Holy Prophet (S.A.W.). Although a group of simple people think that Yazeed won the Ashoora battle and Hussain (A.S.) was defeated. But by studying the history deeply and thoroughly they would appreciate that the situation was reverse and opposite of it. For, winning and succeeding does not mean that a person must remain unharmed and intact and the enemy be killed. But it means success in achieving one’s objects and goals and aspirations and ideology although one is killed. Defeat does not mean being killed and loosing life in the battlefield. But it means the death and annihilation of objective, aspiration and belief. Hussain (A.S.) himself and his friends were martyred in the Ashoora’s tragic event, his family was taken prisoner, their properties were plundered and looted but the aim and objective of Hussain (A.S.) remained alive, because, his aim was the spreading and expansion of Islam and stopping the cruelty, tyranny and aggression, which has been carried forward during the entire length of history and millions of men are the holders and carriers of the flag of this belief and aspiration. Hut the aim of Yazeed was annihilated and perished; because his sole aim was not killing Hussain (A.S.) and his friends instead it was finishing Islam and the end and termination of the teachings of the Holy Prophet (S.A.W.) of Islam. Since Hussain (A.S.) was on that track and way, Yazeed thought by killing Hussain (A.S.) and taking his family as prisoner the story will finish and his ends will be achieved. Not knowing and unaware of this fact that God himself is the guard and custodian of Islam and Quran and the teachings of the Prophets. The tyrants, arrogant, and powerful of the history who always stood up against the Prophets and fought them, killed them or banished them, had the same obnoxious aim but none of them succeeded neither Nomrod and Pharos nor anyone else of them. What success can be better and clearer than this that many centuries have passed and there is no name and signs of those tyrants of the history among the people. But the Prophets of God and the, religious leaders still have their places in the depth of the hearts of the informed, aware, and human loving people. People praise them regarding their greatness and they do not cherish the memories of the kings. Today we observe that the graves of religious leaders and the real movement makers of history have got devoted lovers who travel long distances after bearing the inconveniences and discomforts, to bow down to their graves and tell their secrets to them. But the graves of the tyrants of history do not have any visitors because they do not have anything to give it to anyone. After, the catastrophe and calamity of Karbala the signs of the triumph of Hussain (A.S.) and defeat of Yazeed became evident and clear, because where ever the remaining family members of Hussain (A.S.) would set their feet people would exhibit their emotions, of love and attachment with them and curse their enemies, to such extent, that even the family members of Yazeed did not give him any respect. Instead, a few of his near relatives raised objection and rebuked, reproached and blamed him.